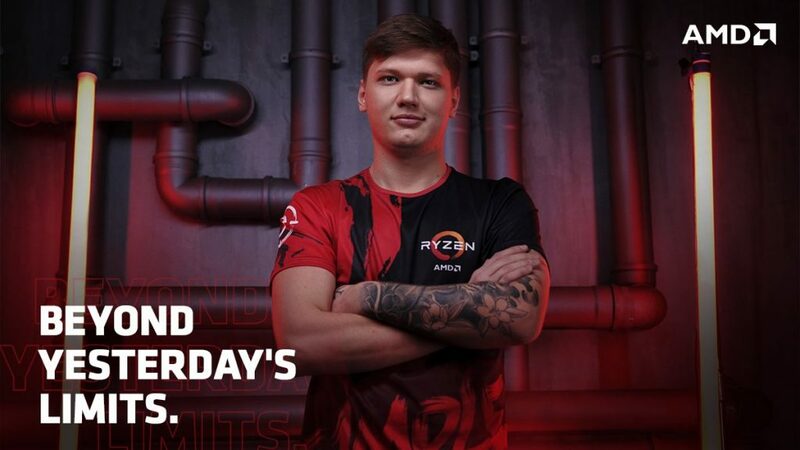 Navi star Oleksandr “s1mple” Kostyliev has been announced as the brand ambassador of popular peripheral company AMD. I am happy to let you know that starting today, I will be representing AMD company, the products of which I’ve been using myself. This is the first partnership of such a scale for me. I feel the same responsibility when my game is being watched by thousands of loyal fans. Our journey has just begun, and I am sure, it’s going to be long and fruitful! Speaking to the official Website of Navi, the 21-year-old said. AMD, which specialises in processors and graphic cards for gaming, recently announced that it would be supplying GPU’s for Google’s cloud gaming platform Stadia. This partnership is a first for AMD in CSGO. From now on I am @AMDRyzen's brand ambassador! S1mple has been one of the best talents of CSGO, having a brilliant 2018 that saw him get #1 in the HLTV Top CSGO Players 2018. Being only 21, he has had reasonable success individually and only a Major, which is the pinnacle of a CSGO Pro’s career, is the one title he continues to strive for. While the financial details of the partnership have not been revealed, it is likely that AMD will appear on S1mple’s stream as well as some exclusive promotional features.